I've been super busy getting all my holiday merchandise ready for both my spaces at Aunt Bee's House and Bella Hill, and the Heritage Faire which is less than 2 weeks away! Sorry for such a long lapse here! I hope to get some photos when I stop in to the shops later today. Thanks for your notes on last week's edition! Luminara candles are the most realistic battery operated candles I have ever seen. 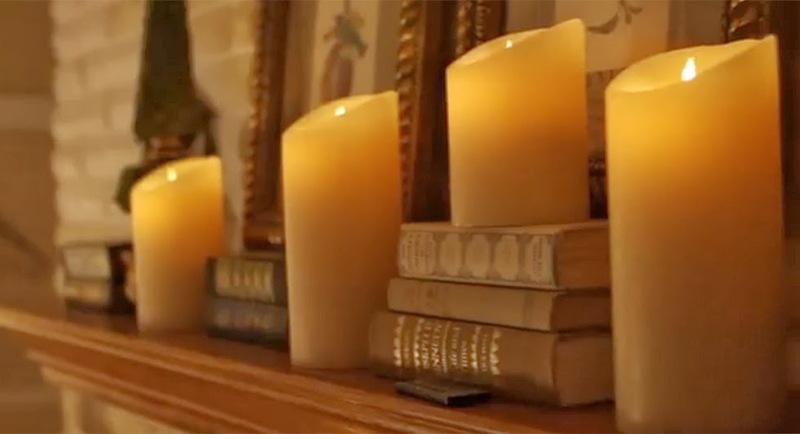 These have a "flame" that moves like a real flame, without the fire hazard to holiday decor or little ones. I saw these in person at a boutique this summer, and I really did a double take on them. A 3 x 5 pillar is $39.95, and has a built in timer. (they do offer a traditional candle for this, with a metal finish) this is a safe option without cords or fire hazards. A unique feature to this candle is that it also has a remote control capability, which is great if you are busy getting ready for a holiday party. It saves you that last minute running around lighting candles! You can click here for a You Tube video showing these beauties in action. Ruche clothing is one of my favorite online clothing shops! Great prices, feminine, and unique. A lot of their dresses have a vintage feel to them, but with a modern feel. These shoes caught my eye- cute little flats with velvet scallops, a not too girly bow, and a sheer detail. So cute for holiday parties, or pairing with jeans and a sweater for daytime. The Anne-Marie flats are $28.99 at ShopRuche.com! They are a boutique type store, so there are limited quantities of their product. Often times they will restock a popular item, but no guarantees. You can always sign up for a restock notification when a particular item you like is no longer available too. 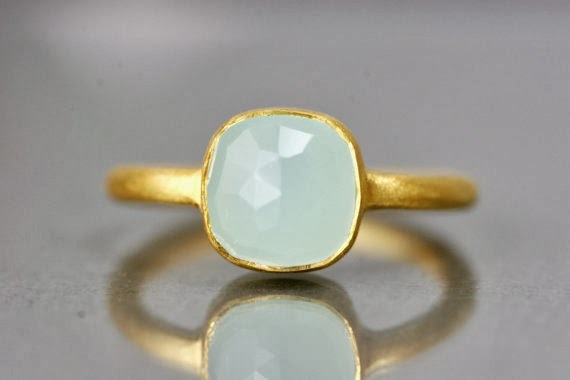 Bellezamia creates beautiful jewelry, and this chalcedony and gold ring is simple and modern, but with a timeless look. The faceted stone and rustic gold setting is exactly my kind of style. I was also pretty happy to find an Etsy shop owner based out of my home state of Oregon! I'm going to give a couple options for the guys category this week. Both are the same product essentially, but with different looks. I loved this bottle opener from Anthropologie! The design is so subtle, I didn't even notice what it was at first. This would make a great stocking stuffer too. 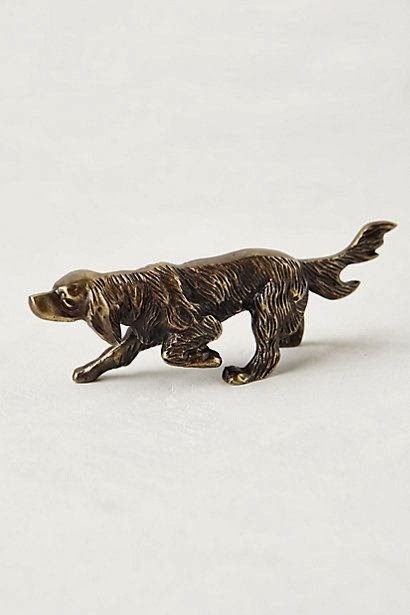 At $14 it's a great idea for any guy, especially a dog lover. Maybe your guy isn't in to dogs? so we could install it on our back deck for relaxing evenings or when guests are over. I love that it also has a classic look. Great for outdoor use- it has held up really well outside! Great for the BBQ area! I thought this was so funny! 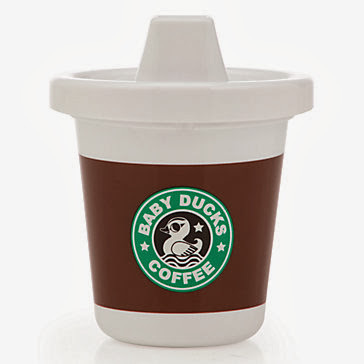 Anyone with a coffee obsession and a little one will get a kick out of this! Z Gallerie offers these pint sized Rise and Shine sippy cups for $7.95. Of course, the beverage can be decaf! Ok, this next item is a total luxury pick, one that I hope to do someday soon. I am so in love with this shoe maker who does gorgeous custom made leather shoes. This is such a lost art, and I can't think of anything more special than having shoes made just for you. The Drifter Leather is an Etsy shop based out of Greece, and they have tons of adorable styles. I love their boots too- they remind me of a pair I had in the 80's that I never got rid of! Their shoes all look dreamy soft and comfy. Guys can find a pair here too. As always, none of these products are sponsored, just really great pieces curated by me. I hope this helps you with some holiday gift giving ideas! Oh my! Just HAD to run right over and buy those adorable sippy cups for my twins! And I think I now want 3 pair of shoes from The Drifter Leather! 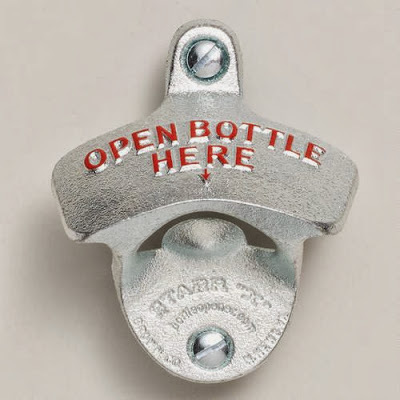 I love that dog bottle opener. I would not have known that is what it is if you had not said it. It would be nice just on a stack of old books.